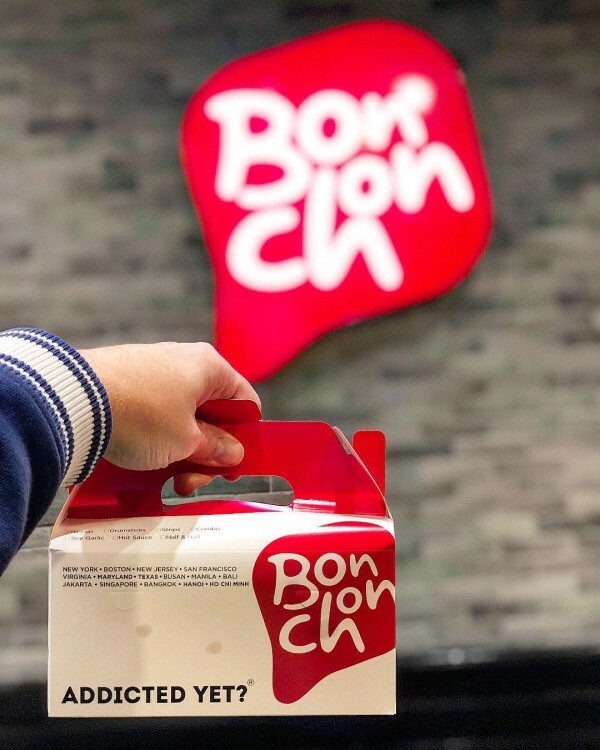 Bonchon in Uptown is Open! What’s in the box?! 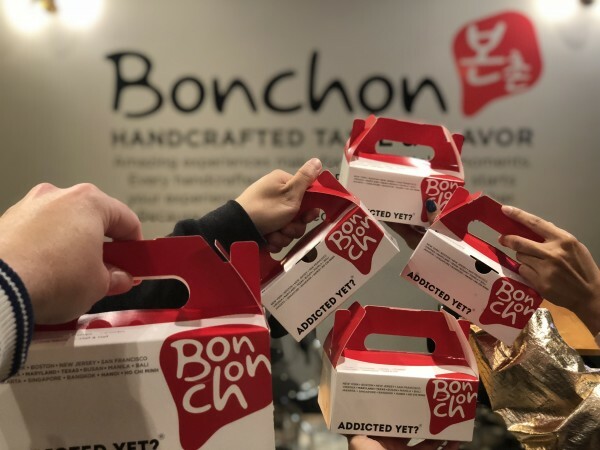 From Busan, South Korea to New York to Minnesota…we are finally the latest addition for Bonchon Chicken. Woo to the Hoo! 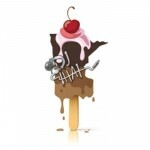 Also, we are not only blessed with one location in Uptown, Minneapolis, but a second coming very soon to Dinkytown. 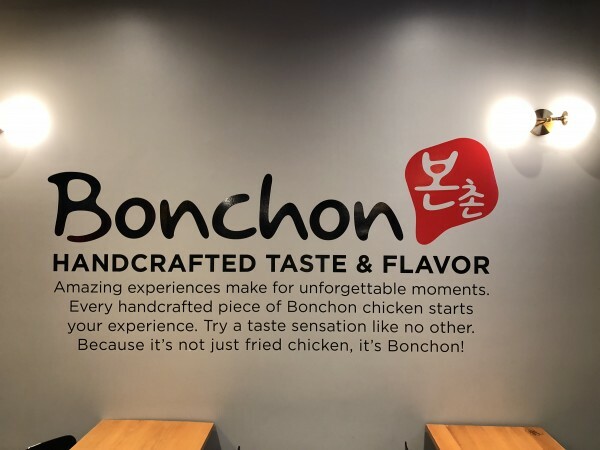 Bonchon aka “My Hometown” does chicken, and damn do they do something special to the chicken. 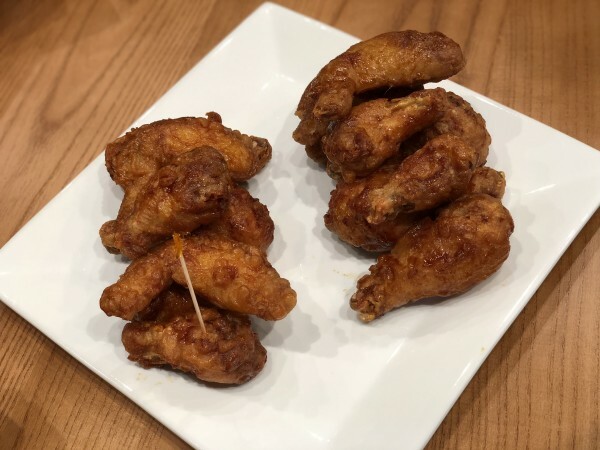 KFC – no, not the colonel, Korean Fried Chicken to be exact – think, much crunchier and less greasy, because it is double fried and still is tender and juicy…I love it! Thanks to my good friend Marshall N. Nguyen, Vice President of Caspian Group for securing both locations for Bonchon. Caspian is a full service Commercial Real Estate company that represents many business owners and assists them in finding the perfect location and negotiates on their behalf. 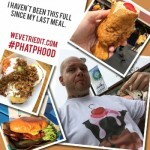 Marshall is the man if you are looking to open a restaurant or any business for that matter. 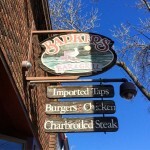 The uptown location where I’m crunching away right now is at 1414 Lake Street (Old Davanni’s). Come one, come all when they swing these doors open to the public today at 4PM Wednesday October 3rd!! 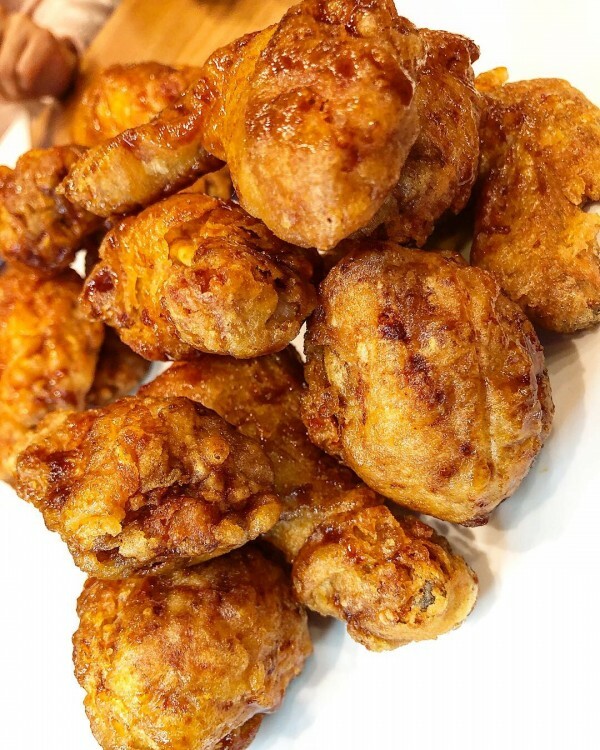 SIGNATURE FRIED CHICKEN SOY GARLIC / SPICY / HALF & HALF – Their chicken is made-to-order, please allow up to 30 minutes for cooking time. 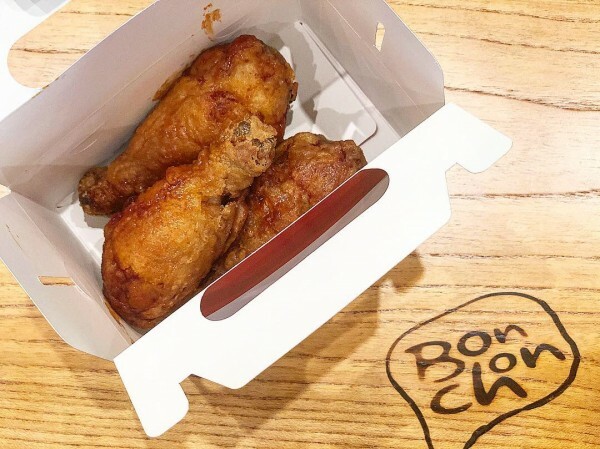 In order to maintain the taste and quality of their product…also, their sauces that they lightly brush on the double fried chicken are not available on the side. 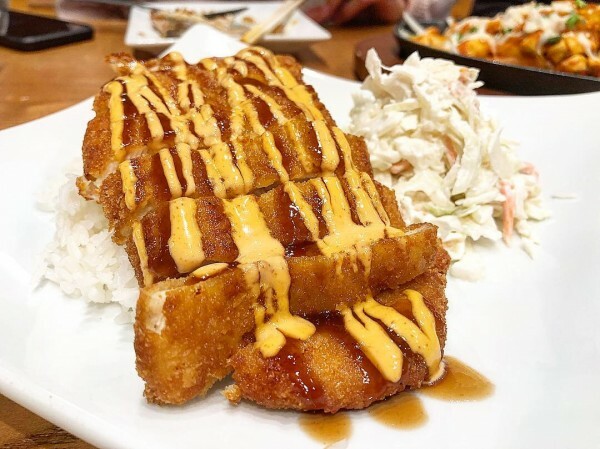 CHICKEN KATSU – Breaded chicken cutlet served over a bed of steamed rice and vegetables on the side, drizzled with katsu sauce and spicy mayo. Little thicker than I’ve seen (I like that) and a good portion. Don’t care for their white rice much. 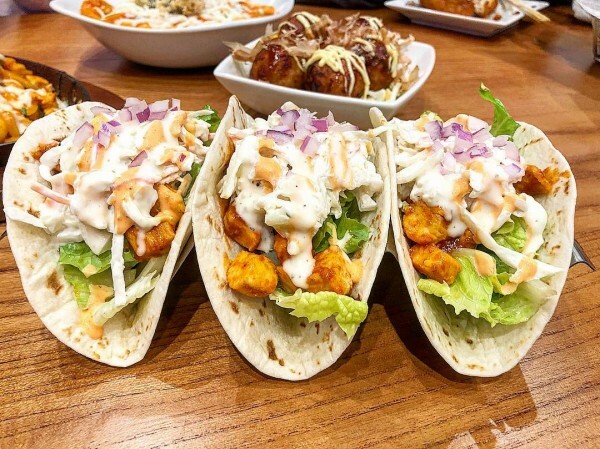 KOREAN TACOS – Spicy Chicken or Marinated Ribeye (Bulgogi) over three warm flour tortillas filled with crisp lettuce and coleslaw, topped with buttermilk ranch, spicy mayo and red onions. 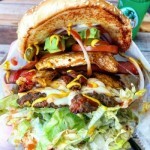 3 per order. Went with the spicy chicken. I’m pretty much in love with their coleslaw. 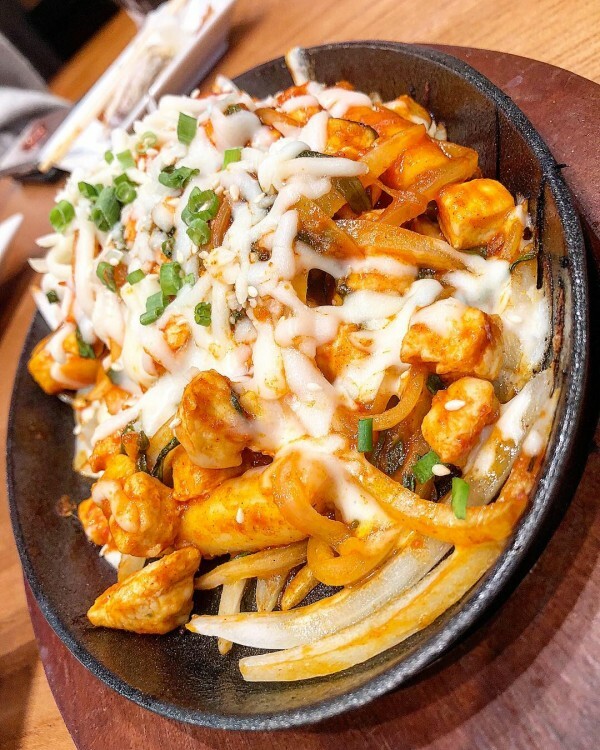 BULL DAK – Spicy chicken stir-fried with rice cakes and Bonchon Signature Hot Sauce, sautéed onions, topped with thinly sliced scallions and mozzarella cheese. Served with white rice and steamed vegetables. Spiciest thing on their menu, know this. 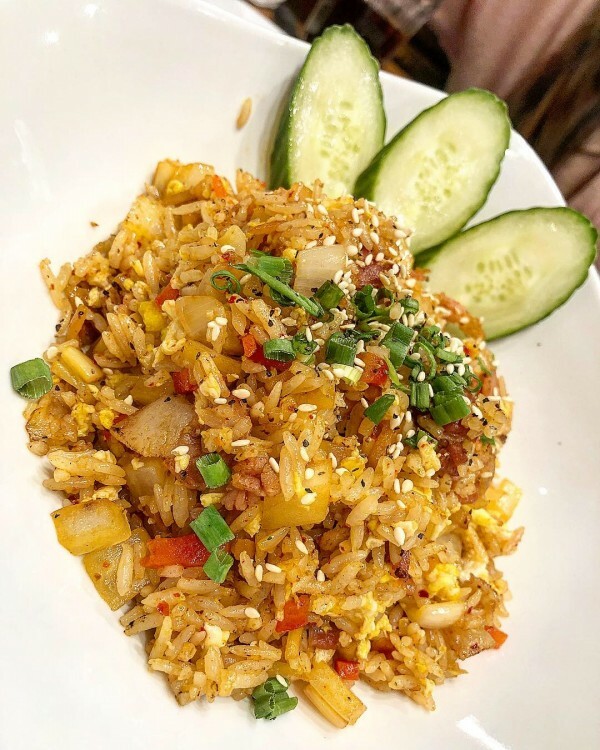 HOUSE FRIED RICE – Fried rice, eggs, red bell pepper, onions and Bonchon Soy Garlic Sauce. 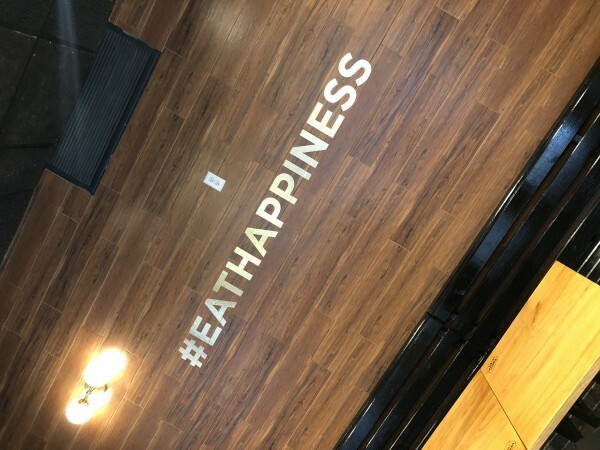 Choice of: Chicken (+$1), Bulgogi (+$2), Seafood (+$2), or Kimchi Bacon (+$2). 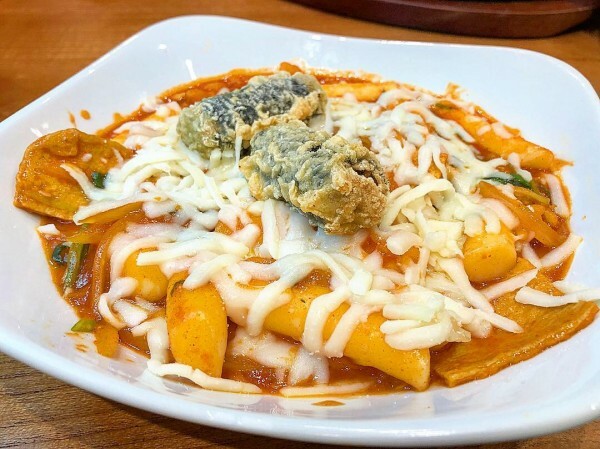 Kimchi was the choice…and a very smart choice. I’m a fan of their fried rice. 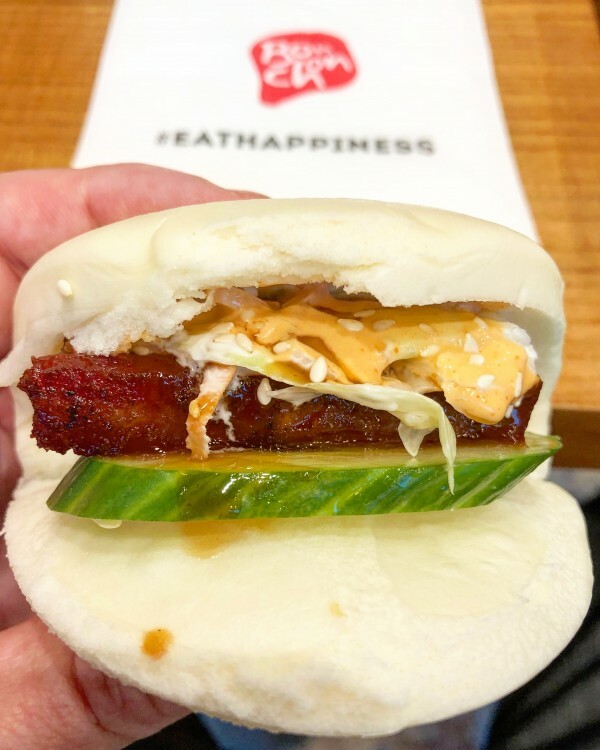 PORK BUNS – Slice of savory pork belly dressed with Bonchon Soy Garlic Sauce, topped with cucumbers, coleslaw, spicy mayo, and katsu sauce. 3 per order. It’s a nice chunk of pork, flavored nicely, I think the bun needs a little tweaking, was a bit wet, but that might be the coleslaw’s doing. 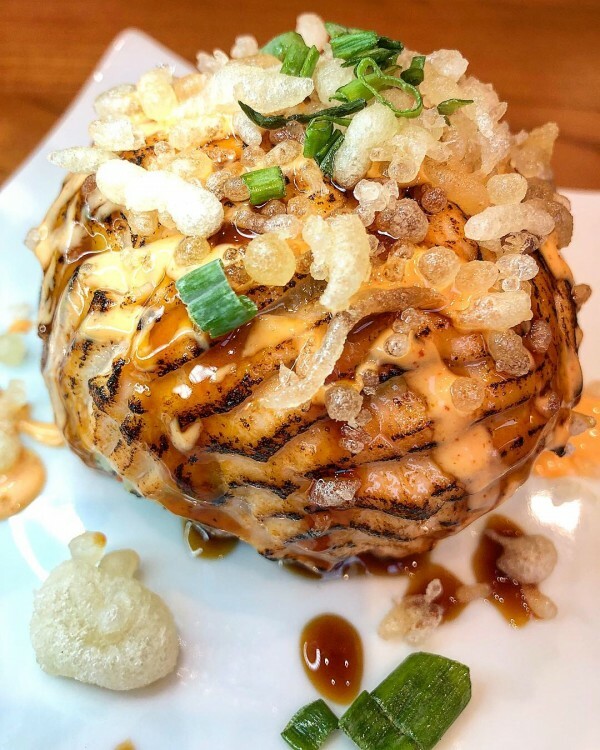 SALMON AVOCADO BALL – A mix of avocado, crab meat, cucumber, fish roe wrapped in seared fresh salmon, topped with spicy mayo, unagi sauce and crunchy tempura bits. The salmon was nicely torched I believe, rather than seared, either way, it worked. It’s a light refreshing starter dish. 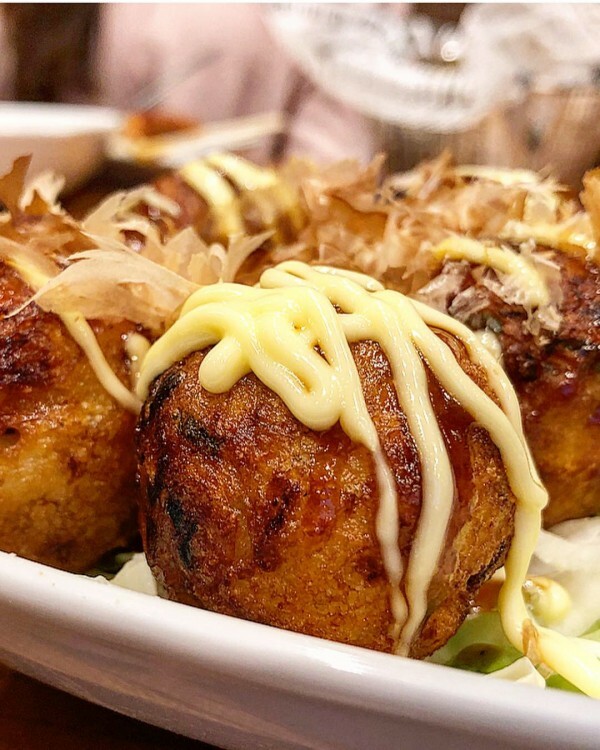 TAKOYAKI – Fried octopus dumplings drizzled with Japanese mayonnaise, katsu sauce and sprinkled with bonito flakes. Can’t go wrong with these! 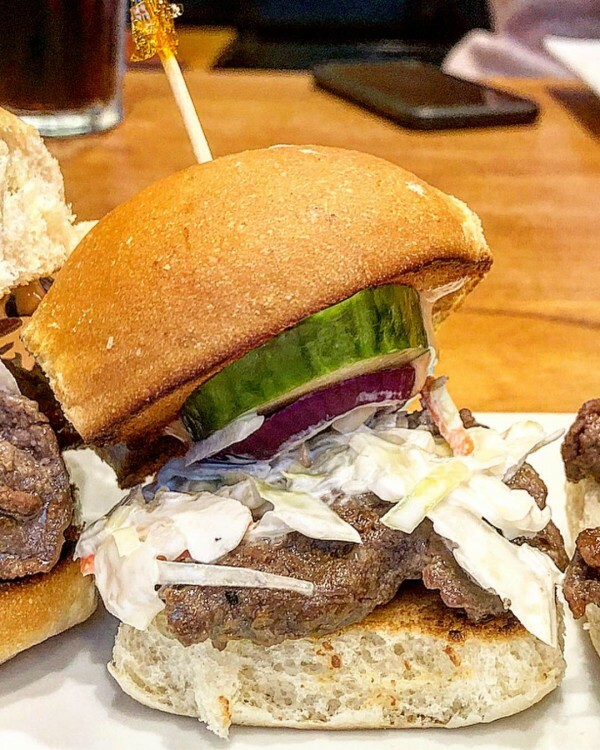 SLIDERS – Crispy chicken strips (soy garlic or spicy ) or marinated ribeye (bulgogi), fresh cucumber, spicy mayo, red onions and coleslaw, served on a mini potato bun. 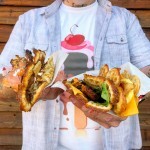 3 per order. Since I had the spicy chicken on the tacos, went with the bulgogi on the sliders. They are marinated well, probably great for kids or late night snack, but $4 a slider, I’m just not sure they will be a big hit when you can just order a big dish of bulgogi. 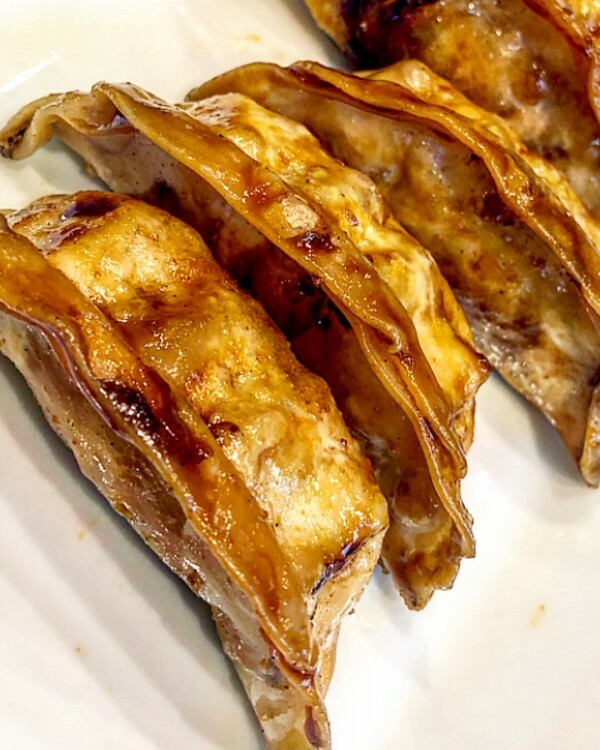 POTSTICKERS – Lightly fried pork and vegetable dumplings brushed with Bonchon Signature Sauce. 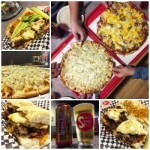 Choice of: spicy , soy garlic or half & half – crispy and full of meat. Table favorite, next to the chicken. They’ll only be serving dinner this week, they will implement lunch next week. Be ready for 2am-3am closing times on the weekends. Yay to late night drunken KFC! !